All applicants must be Nigerians, not less than 1.66m tall for male and not less than 1.63m tall for female. Applicants should be between 22 and 30 years by 30 September, 2019 (22-35 for Consultants). Engineering: Software, Network, Computer, Electrical/Electronic, Mechanical, Chemical, Satellite Communication, Satellite Control, Satellite Ground Station, Telecommunications, Aerospace & Aeronautical. Database/Network Administration, Web Developing, Network & Cyber Security, IT Robotics, GISfRemote Sensing, Satellite Image Analyst, Data Telecommunication, Intelligence and Security Studies. Geography, Cartography, Astronomy, Cosmology, MET, ATCO and Fire, Chemistry, Statistics/Record Analyst, Biochemistry, Biology, Physics, Mathematics, Nutrition, Lab Tech. Medical Consultants: General Surgeons, Physicians, Pediatricians, Obstetricians and Gynaecologists, Anaesthetists, Nursing, Pharmacy, Biomedical Engineering, Dental Techs/Therapists, Dietetics, Medical Laboratory, Medical Records, Optometry, Preventive Health, Clinical Psychology, Radiography, Physical & Health, Health Education & Human Kinetics, Vet Medicine. Accounting, Sociology, Criminology, Psychology, Mass Communication, Public Relations, Journalism, Television and Film Production, History, Economics, Marketing, Purchasing and Supply, Business Management, Music/Instrument Technology, Arts, Sports, Theology, Arabic & Islamic Studies. Law: Criminal, Constitutional, Procurement, Land and Alternative Dispute Resolution (ADR). Languages: French, German, Russian, Mandarin and Arabic. Applicants must possess Bachelor's Degree with second class Upper division or HND with Upper Credit. Applicants must possess NYSC Discharge Certificate or Letter of Exemption from NYSC at the time of applying for DSSC. Applicants must possess certificates of full registration with their respective statutory professional bodies in Nigeria where applicable. Male applicants must not be less than 1.66 meters tall while female applicants must not be less than 1.63 meters tall. Applicants should be between 22 and 30 years by 30 September 2019 (22-35 for Consultants). Any age declaration done earlier than 5 years to this exercise will not be acceptable. Nigerian Air Force Base, Makurdi. 303 MAG - Nigerian Air Force, Ilorin. Sam Ethnan Air Force Base, Ikeja – Lagos. 155 Nigerian Air Force Base, Enugu. 115 Special Operations Group, Nigerian Air Force, Port-Harcourt. 107 Air Maritime Group, Nigerian Air Force Benin. Nigerian Air Force Base, Kawo – Kaduna. 403 Flying Training School, Kano. 105 Composite Group Nigerian Air Force Base, Maiduguri. 209 Quick Response Group, Ipetu-Ijesha. 119 Forward Operation Base Mabera, Sokoto. 103 Strike Group, Nigerian Air Force, Yola. 451 Nigerian Air Force Station, Jos. 251 Nigerian Air Force Base, Bauchi. 351 Nigerian Air Force Base, Minna. 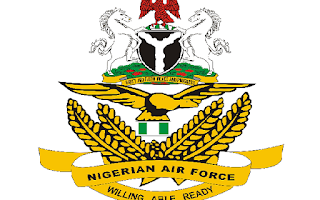 NAF online Registration and all other enlistment processes are free of charge and no payment should be made at any point throughout the Exercise. Zonal Enlistment Exercise will hold from 7 - 21 December 2018. Writing Materials (for aptitude test). Applicants are warned against giving false information as information supplied will be used to evaluate your suitability for shortlisting at any particular stage. Any false information discovered at any stage will lead to disqualification of the applicant. Serving Military personnel are to note that documents listed in a-b above are not applicable to them, however the special attestation form is to be filled by their current Unit Commander. Applicant's local Government attestation form must be signed by a military officer who hails from the state of the applicant and not below the rank of Wing Commander or equivalent in the Nigerian Army and the Nigerian Navy, and Police Officer of the rank of Assistant Commissioner of Police and above. 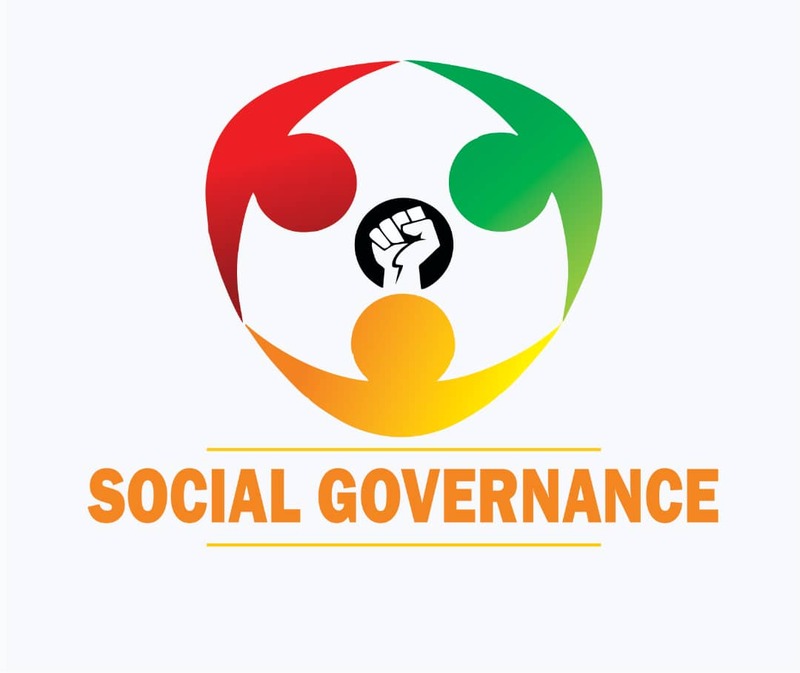 Local Government Chairman/Secretary, Magistrates and Principals of government Additionally, applicants are to bring with them Local Government Indigeneship certificate from their Local Government. Photocopies of all documents and credentials will be collected from applicants after screening during the Zonal Enlistment Exercise and Interview. 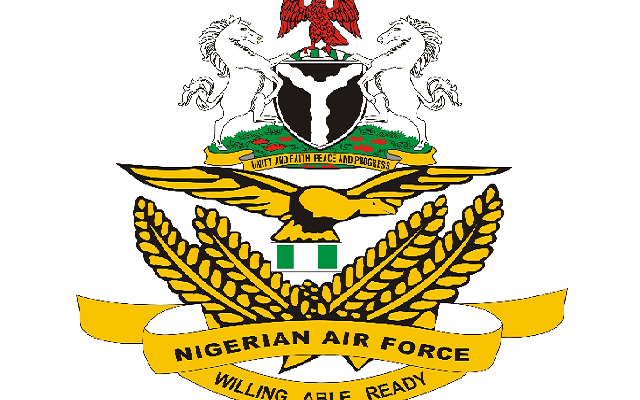 For Technical Support, please call: 09064145533, 08043440802 and 09055840142 or via email:careers@airforce.mil.ng. All phone lines are available between 8:30am and 5:30pm.